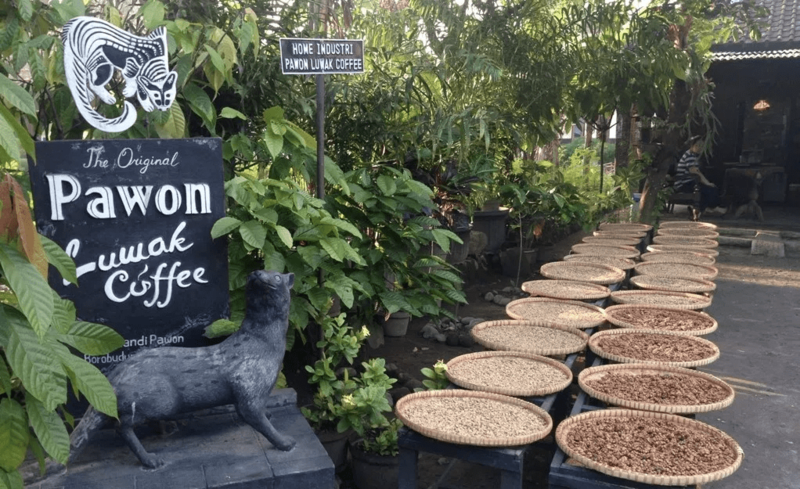 Besides various cultural architectures, and serene natural landscapes, Coffee Shops in Yogyakarta is probably the next most sought after tourist spot. It is a must-visit for a traveller to Yogyakarta after a trip to the Borobudur and Prambanan Temples. From interesting experiences to instagrammable spots, bookmark this post for your next trip to Yogyakarta! 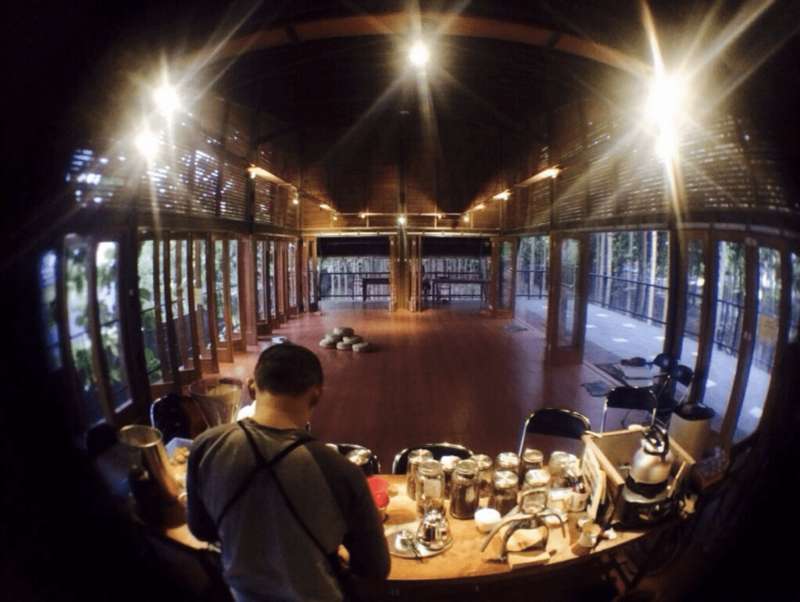 NOX Coffee Boutique has several outlets throughout Indonesia. It specializes in brewing coffee using organic coffee beans and supports local, sustainable produces in its baked treats! At Nox Coffee, apart from the homely interior, its coffee and desserts are amazingly adorable! Just look at the chocolate owl cake! Lantai Bumi is immensely popular among local students. 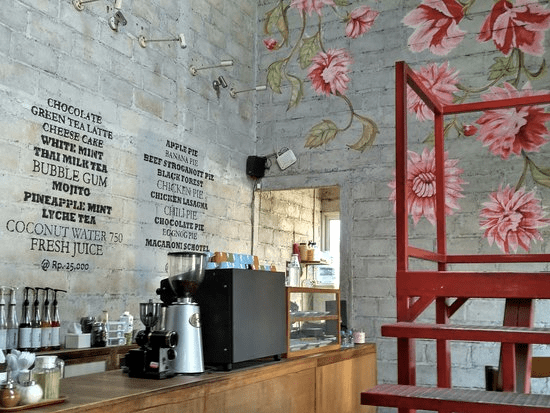 The café is set within lush greenery and its graffiti-filled walls are perfect photo spots! For those who are afraid of the heat, feel free to enjoy your cuppa inside the restaurant. Although this place may not look as beautiful as the other cafés covered in this entry, this destination deserves a special mention! An unassuming street-side coffeeshop, Angkringan Lek Man Tugu is well-known amongst many locals. 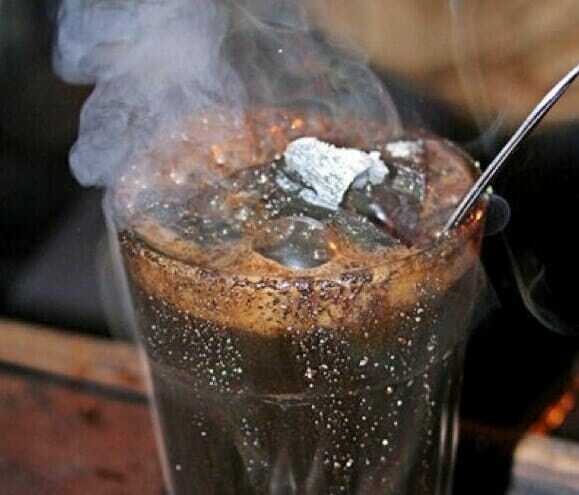 Kopi Joss refers to piping hot charcoal that is added to coffee. Get your boomerangs ready as the charcoal is placed into your coffee that will result in bubbly steams! 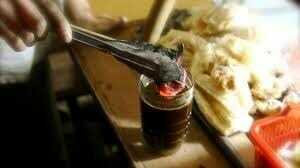 The resulting coffee may look eeky and yucky, but it is an absolute must-try when you are in Yogyakarta! For a truly authentic experience, choose to sit on the mat instead of your usual chairs at this café. 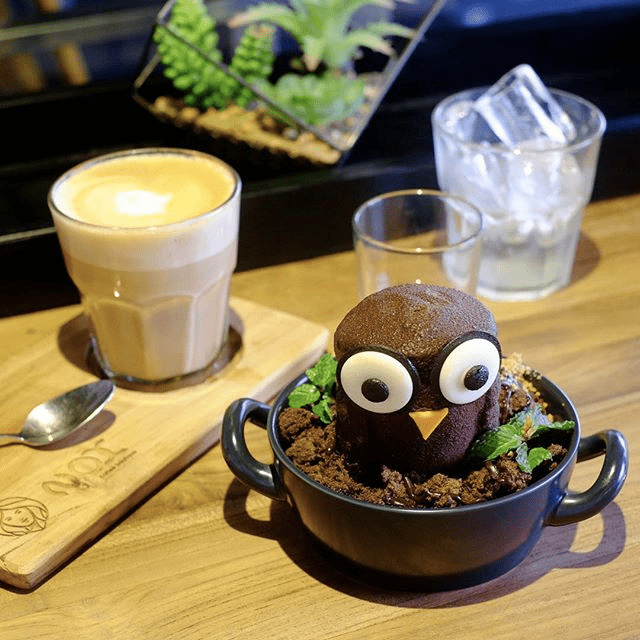 This café is definitely worth your moolahs! 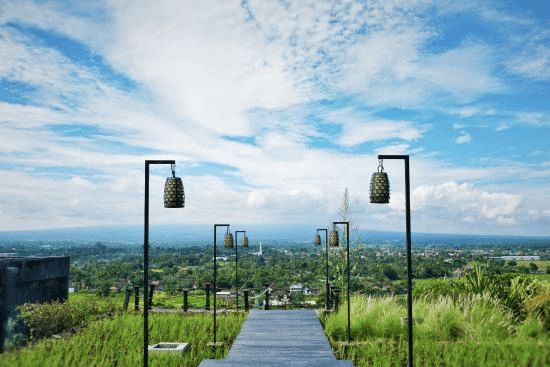 Perched on top of a hill, you will be able to enjoy quality food and an amazing view of Mount Merapi and Prambanan Temple when there are clear skies. 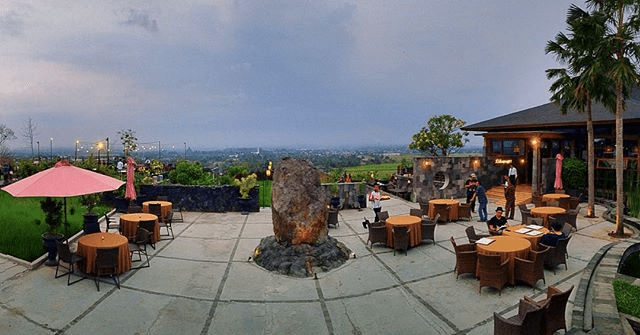 For the best experience, head over to Abhayagiri in the evening to catch a view of the sun setting as you dine at the al fresco area. The exterior of this restaurant also provides a good photo opportunity. The long lantern-filled walkway, with lush greenery at the side is definitely insta-worthy! No, this place does not have anything to do with the skincare brand of the same name. Instead, it serves authentic black coffee. Its owner believes that coffee should be consumed without sugar or milk to truly appreciate the taste of coffee. 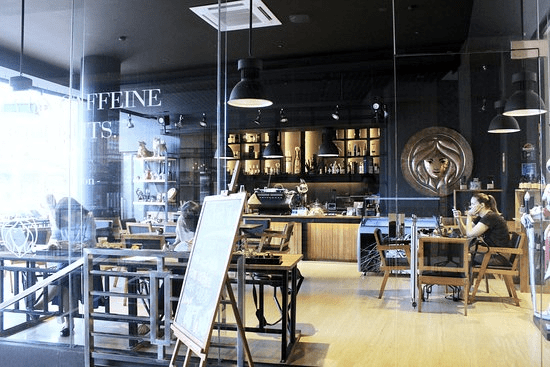 Unlike most cafés and coffeeshops, this place is more of a coffee clinic where you can educate yourselves about the origins and roasting processes of coffee beans! Luwak Coffee is known as the most expensive coffee in the world as it is made from coffee beans picked from the feces of cat-like civets. The coffee is top-notch as the picky eater only consumes the highest quality coffee cherry. You will also get to see some civets there and purchase some of these finest coffee beans home! 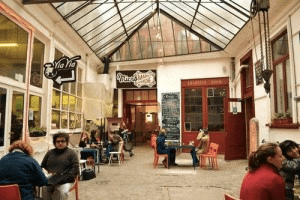 Via Via is a travellers’ café that has chains in 4 continents. 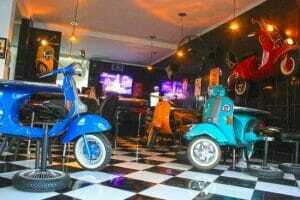 Its colourful interior will light up your day as you hang out and chill in the café. Via Via utilises organic produce and its food contains no Mono-Sodium Glutamate (MSG), allowing you to enjoy a healthy meal! Do try their bread from the bakery, as well as their beautiful-looking cakes! 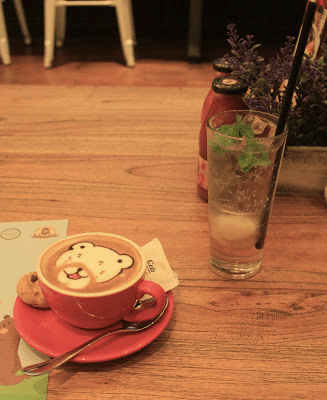 For teddy bear lovers, you’ll definitely need to visit roaster and bear. The entire café is decorated with lots of bears. From its menu, the many stuffed bears, and to its latte art. Pick the best spot for your instagram feed! For night-owls and travel nomads, visit Peacock Coffee anytime of the day as they are open 24 hours! This café features a bright red staircase that looks great in photographs! The floral backdrop also acts as a good background for your OOTDs! 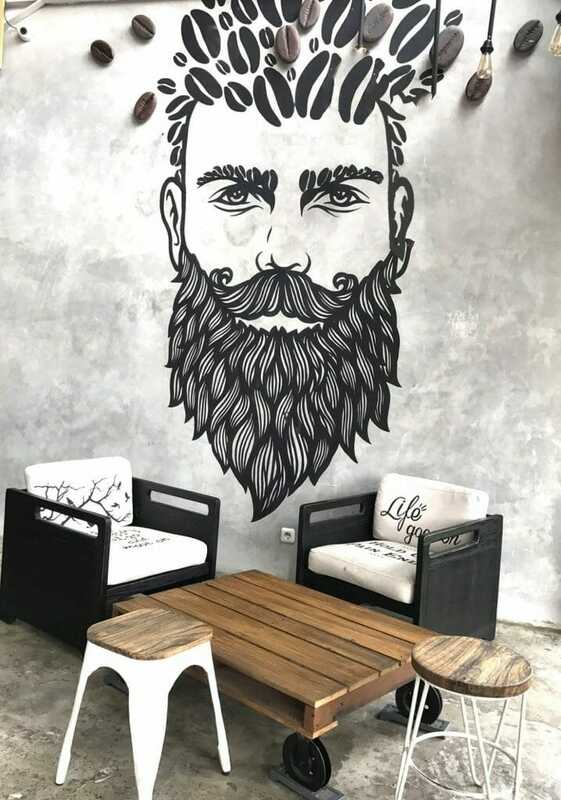 For hipsters, enjoy a day out in Move On Coffee Shop! It features sofa seats, floor seats, as well as a seat on the swing! 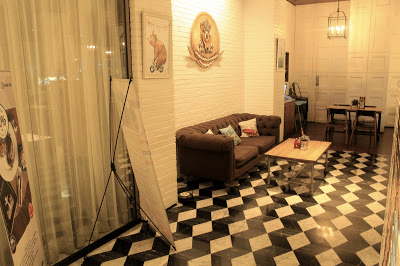 With some smart angles, you can definitely pull of a pretend-ride on a vespa in this café! Here, indulge in a burger, fries, and an ice cold beer as you rest your feet from all that climbing and walking! If you travel for the gram, Yogyakarta’s cafés truly presents great photo opportunities and experiences that one should not miss!